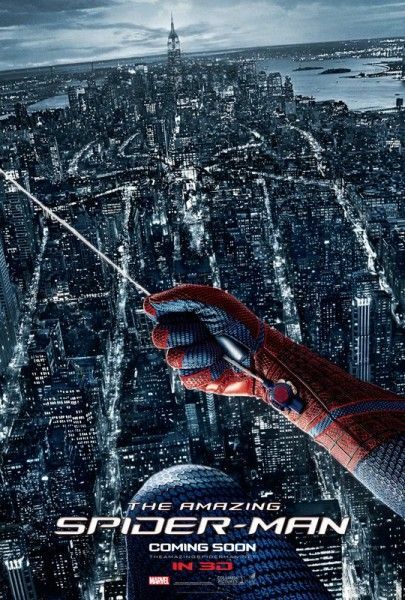 Last month, Sony Pictures invited us to attend the press junket The Amazing Spider-Man. 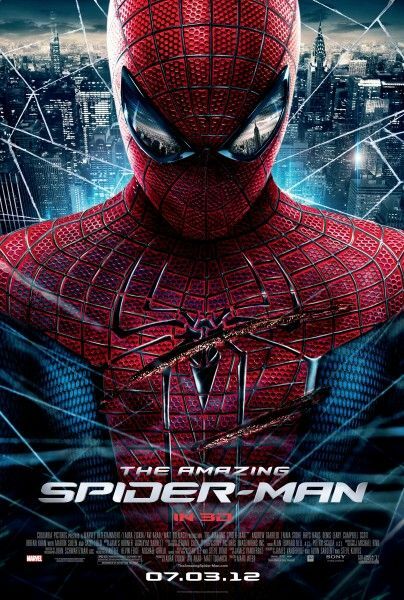 The reboot takes a grittier, more realistic approach to Peter Parker’s journey to becoming your friendly neighborhood Spider-Man, and sees the wall-crawler struggling to come to grips with the mysterious disappearance of his parents. For more on the film, click here for all of our previous coverage. During my interview with director Marc Webb, we spoke about which comic books he studied, how Peter Parker stands apart from other superheroes, talking with James Cameron about the 3D, remaking Spider-Man in a modern context, and more. Hit the jump to check out the interview, and click on the corresponding links for my interviews with stars Andrew Garfield, Emma Stone, Rhys Ifans, Denis Leary, and Martin Sheen. How did you become involved in the project? Was it something that you sought out or was it something that came to you? 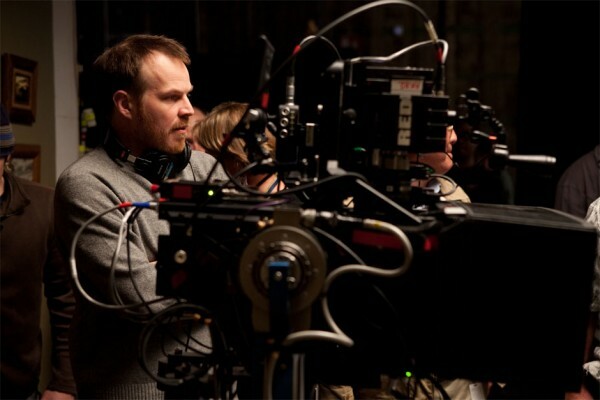 MARC WEBB: Originally I had met with Sony. After (500) Day of Summer I went around and had some meetings at studios. Originally I had met with Matt Tolmac about some other things and he brought it up. I was a Spider-Man fan, but I was like “what’s the deal, aren’t you guys? What is this?“ We had a conversation about it, and the idea really nested, and I had some specific opinions about the character and the tone of what you could do. And it just snowballed. We started talking, I talked to Amy and Avi Arad, and it never stopped building. And then that’s how it started, actually, in a kind of gradual way it became inevitable. Spider-Man has been around for almost 50 years, so there’s really no singular Spider-Man. From what comics did you take inspiration for your version of the character? WEBB: That’s a good question. There are different comics and different storylines, and you’re exactly right, there is 50 years worth of canon to choose from. I felt like what Sam Rami did, they started off with the Stan Lee/Steve Ditko stylized world and they were really great and generating that is kind of a genius way I think. But when I thought of Peter Parker, the questions I first asked myself were, this happened on the other movie I did and just how I read scripts in general, I want to build the character from the ground up. Who is this person, what happened to him when he was a kid, what does he like, what does he dislike. I kept on returning to this idea; this kid was left behind by his parents when he was 5 or 6 years old, that would have a huge emotional impact on anybody, that gap, that void in your life. And I kept on thinking about, well that will create a character, at least the way I interpreted it, that has a little bit of a chip on his shoulder, of this missing piece. That will define you in a very real way, so I wanted to tell a story about this kid who goes out looking for his father and finds himself, that was my access point. And in terms of finding things from the comics, obviously there’s some references to his parents and different versions of that, and I studied that a little bit. And then I liked some of the attitude in The Ultimates, and I had a conversation with Brian Bendis early on, a short one, and we talked about the relationship with Gwen and even though Gwen in my movie is a little bit more from the Amazings, I like the attitude and the physical components of Spider-Man from some of the Ultimates. So it’s an amalgam of different characters that felt interesting to me. 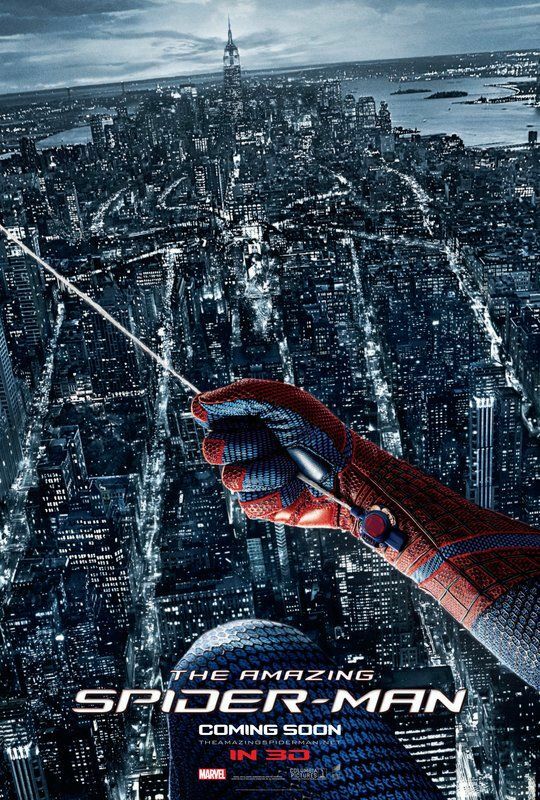 When Sam Raimi did Spider-Man back in 2002, superhero movies were still really just starting out. Then it was the only superhero movie coming out that year, and this year, in 2012 we have 3 in one summer. What’s it like making a Spider-Man film in the current crowded market place of superhero movies? WEBB: I didn’t think contextually where we are going fit in to this universe, I just thought about in terms of Peter Parker and who this character was and what is interesting to me. Marvel is very protective about defining each of their characters in a certain way, and we had to be very careful to make sure we didn’t overlap with . . . a suit doesn’t have crazy powers like Iron Man’s. They have a brand that they are very protective of and that was actually great to work off of. So that had some influence on the film. And then I wanted to . . . really it was just to me it’s a story about a kid who grew up without a father and goes out to find himself, that’s what I return to. I didn’t think about it as a superhero movie, I didn’t think about it as a comic book movie per say, I’m just curious about this kid and the story he has to tell. Considering the vast amount of history this character has, this film is very much in a modern context, where is the line where you would like to make the story modern, but not dated? WEBB: Spider-Man, again, if you go back to the comics, it’s very easy to become stylized, I wanted it to feel more naturalistic, and when you walk out of the theater you feel like,“ Oh, this universe is something that is recognize. “ And so there is this . . . I think a big part of creating that was casting and finding actors that were comfortable in working in a more naturalistic way and Andrew [Garfield] and Emma [Stone] are both incredible spontaneous, very funny, very charming actors that behave in a very naturalistic way. And I think that’s really important in creating a movie where I wanted that access point to feel relatable. I think one of the things about Peter Parker that is so great, and what has made him and Spider-Man last so long is he is a kid that we all feel connected to, he’s not an alien, he’s not a millionaire, he’s just this kid that has trouble asking girls out. And he has these petty little domestic dramas, and his Aunt May is worried about him at night, and he’s got all those little tiny things that are conversations that we’ve had that are very similar, makes you feel that much more deeply connected to him. I want to strip away some of that stylized quality. And in terms of his attitude, there’s this . . . geeks, like nerdy, geeky dynamic doesn’t exist in the same way, it means something different then it did 50 years ago. Geeks are running the world, anyone who’s seen The Social Network knows the dynamic has shifted, but what I think is iconic and timeless about Peter Parker is that he’s an outsider, on the outside looking in, and that was something I thought was very important to protect. 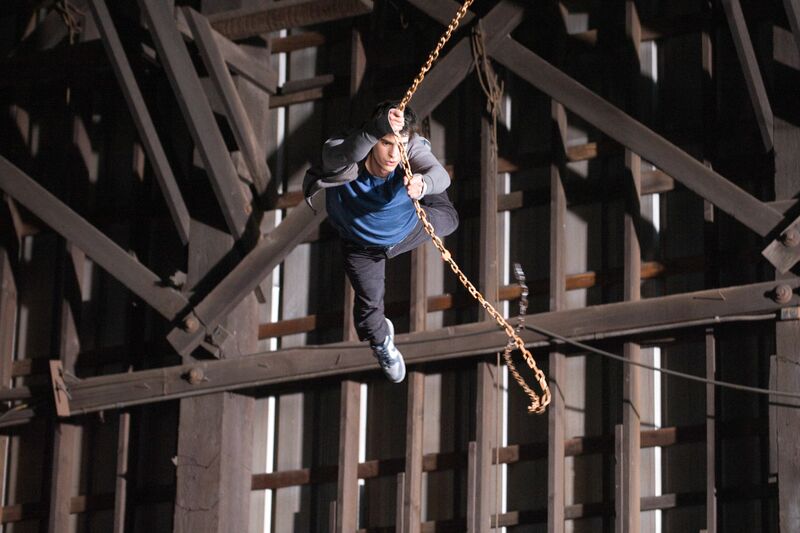 Are there any action sequences that you enjoyed filming the most? WEBB: I think the High School ended up being a lot of fun. I just like that it was in a close quarters battle and to see a fight scene in a high school. In the Ultimates there’s some battles between the Green Goblin and Spider-Man, and that was fun. And I like that environment, the interaction between the two of them in the hallway was really fun, I think we got to activate different parts, like the Lizard using his tail and Spider-Man’s being kinda funny and climbing on the ceiling at the close quarters which actually I think worked pretty well in 3D. The other thing on the rooftop, that was another fun thing because the sense of space was so huge and it was the opposite of the high school in a way. One of the shots I’m most proud of is in all the trailers, that tower falling down and crashing, and it took so long to do. It was an effort of really, extraordinarily gifted animators and physical effects and visual effects. And that moment was really fun again to explore in 3D, I felt like that was a fun use of that. Are you attached to direct the sequel? WEBB: I haven’t made a decision, I’m just like . . . this has been such a long process, it’s so much fun, it’s really exciting and I’ve invested a lot. But I just want to finish this movie, take a breath and then I’ll make that call, we’ll see. Are there any villains you’d like to see in future Spider-Man films? WEBB: Well, hmm, I don’t want to give anything away. What was it like working with James Cameron to craft the 3D look of the film? WEBB: I just had a few conversations with him early on. I didn’t want to put him on the hook for anything. But he gave me a lot of confidence in the idea, because I was really skeptical of it too. I think sometimes it’s used in a very tacked on way, not very legitimate. But he was really instrumental. He’s a big advocate of shooting in stereo and I walked out of the meeting with him and I was like, “You know, he’s right,” it just felt like the right way to do it. Again, I wanted to design sequences with 3D in mind. I think my mantra was, “there’s 3 Vs of 3D; there’s volume, vertigo, and velocity.“ And that was how I analyzed that part of the process; I wanted to exploit each of those elements. I can go into more detail, I don’t know if we have time, but that was part of the challenge and the adventure of making the movie was to do 3D in a way that felt legitimate, that felt like it was putting you in the shoes of Spider-Man, or in the suit of Spider-Man. For more on The Amazing Spider-Man, here’s all our previous coverage.